See this comparison of Webroot Business Endpoint Protection vs Fortinet FortiClient. Cloud based endpoint protection against evolving threats. Businesses looking for a full Endpoint detection suite with anti-virus threat detection, response and prevention. Businesses looking for traditional anti-virus solutions. What is Webroot Business Endpoint Protection? 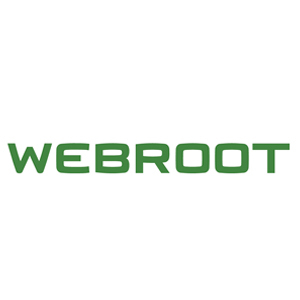 Webroot is an Endpoint Protection platform aimed at businesses of all sizes looking for powerful Endpoint security. It’s a cloud-based platform that continuously monitors endpoints to detect and protect them against threats. It offers a single management console for admins with full vsisibilty over all endpoints within a network. Webroot take a predictive, adaptive, mulit-layered approach to Endpoint security, to allow it to stop threats in real time. The service has a focus on automated, real-time threat protection, with full reporting of threats and a range of pre-configured policies, or the option to create your own. This platform supports multiple operating systems as well as virtual environments. Webroot offers a powerful threat protection platform for businesses of all sizes. It offers businesses powerful network protection capabilities, with strong protection against viruses, malware and phishing attacks across multiple different vectors. This means that it offers protection for email threats, from web browsers and for malicious files and apps. The platform has a focus on real time threats, especially targeting user identity and privacy. The threat detection and response capabilities are powerful. The system continuously monitors endpoint threats with machine learning algorithms that detect and respond to email threats. The platform offers a single management console for Endpoint devices accessible on a client or in a web based form. Within this platform admins can access reports and implement pre-defined policies or create their own. This is a scalable platform that is lightweight and easy to manage. It’s cloud based, installs in seconds, and updates are regular to ensure security is up to date. This platform is a good option for businesses of all sizes looking for Endpoint Protection. It’s not a suitable platform for businesses looking for basic anti-virus. But for businesses looking for a full suite of Endpoint threat protection, detection and response, especially with a large remote user base, this is a strong solution to consider. Proactive protection against advanced Endpoint threats. SMB customers looking for a comprehensive Endpoint Protection suite that integrates with a full security stack. Companies looking for the most advanced management console for Endpoint devices. FortiClient is Fortinet’s next generation Endpoint Protection platform. It aims to give businesses visibility and control over Endpoint device security. It lets businesses quickly identify vulnerable or compromised Endpoint devices and track systems and and user profiles. Each endpoint has an agent installed which is protected by FortiGate, which can be a virtual or physical appliance. IT management can monitor endpoint devices for threats, set policies and enforce compliance from a management console. It aims to offer businesses of all sizes advanced threat protection against malware threats. Fortinet’s Endpoint Protection is more popular with small to midsized businesses than enterprise users. Fortinet’s platform is well liked by customers and offers strong threat protection for Endpoint Devices. The core audience for this platform is small and medium sized businesses, although it does offer some compelling features for Enterprise sized customers. The FortiClient product is not a core focus for Fortinet, but it does offer businesses a good level of threat protection. It protects against viruses and malware, as well as advanced threats with behaviour-based analysis. It offers a good level of threat protection for remote users, with always on VPN protection. The threat detection and response also offer businesses a good level of protection against advanced threats. The management console is accessible, giving administrators visibility into the whole Endpoint network. This allows them to see individual users in real time, with active directory integration, and centrally manage triggers and controls. This all takes places in a single cloud-based client, with simplified management.